According to the science research plan of the first semester of the school year 2015 - 2016 by the Council of Science - Training at Maritime College No.1, the marine engine operation department conducted a preliminary appraisal of a science study for the college in time. The researcher, Mr. Chu Dinh Ha- MA, recommended measures to maximize the efficiency of diesel engines and some solutions to tackle the problems during operation throughout his subjects "A study on the instability of the air compressor turbine in the operation of the propeller-driving Diesel engine and their remedies"
After the presentation of the researcher on his study, the members of the Science council of the department gave additional ideas and comments in order to support the researcher to fulfill his study. MA. 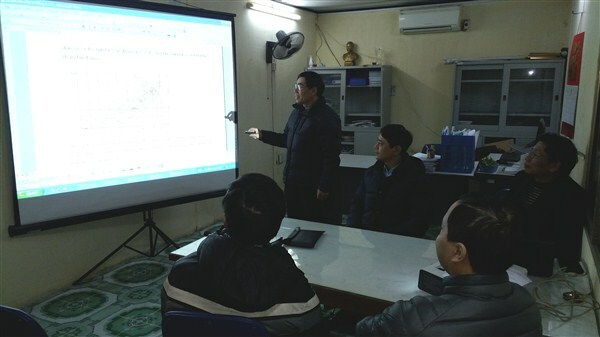 Chu Dinh Ha’s study brings practical and effective application for teaching students of the engine operation department as well as for training officers in the college. The Science council of the department has approved the study and asked the researcher to edit the content of the study.